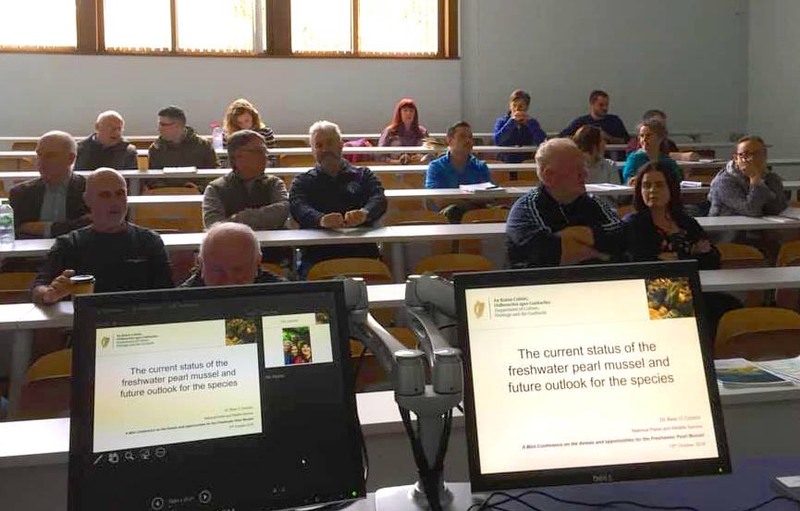 An interesting series of talks were presented at the Connemara Green Festival last Friday in Letterfrack focusing on the conservation of freshwater pearl mussel in Ireland. 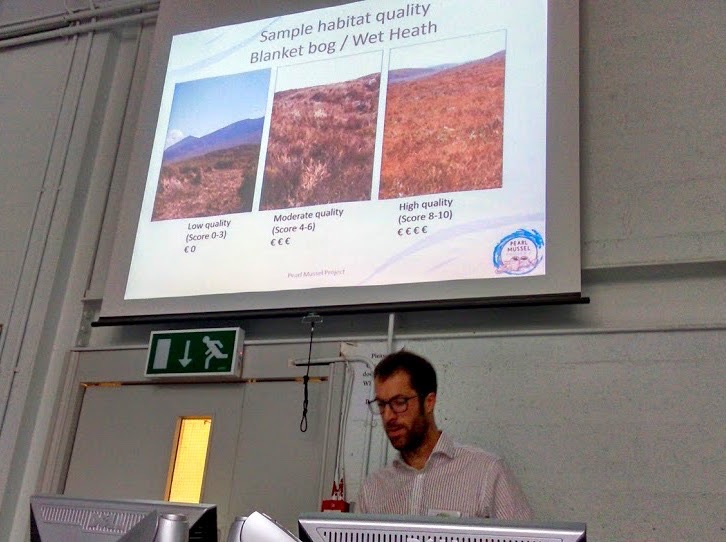 We had lots of interesting feedback on the Pearl Mussel Project given by Derek McLoughlin from PMP and on the wonderful presentations from Marie Louise Heffernan, Bernie Whyte (LAWSAT) and Catherine Seale (LAWCO). Their was a good range of attendees including local farmers, businesses and fisheries owners. Brendan O’Malley of FORUM was an excellent chair for the session. Great to see the positive approach of the Dawros and surrounding catchment communities. Unfortunately due to bad weather and high river levels (good for the mussels... dangerous for humans) the excursion to Dawros River had to be cancelled. Many thanks to Marie Louise, Janet and Letterfrack Tidy Towns for organising and running the conference which was a great success.